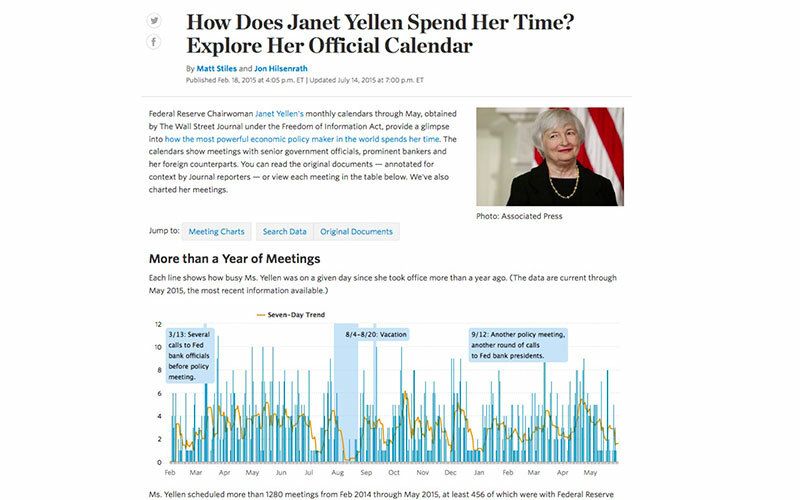 At The Wall Street Journal, we obtained Fed Chair Janet Yellen’s officials calendars in paper form through the Freedom of Information Act. I converted them to data — and then built a stand-alone interactive that made the data accessible to readers with graphics, search and document annotation. The project is behind the WSJ’s firewall. But here’s a screenshot.